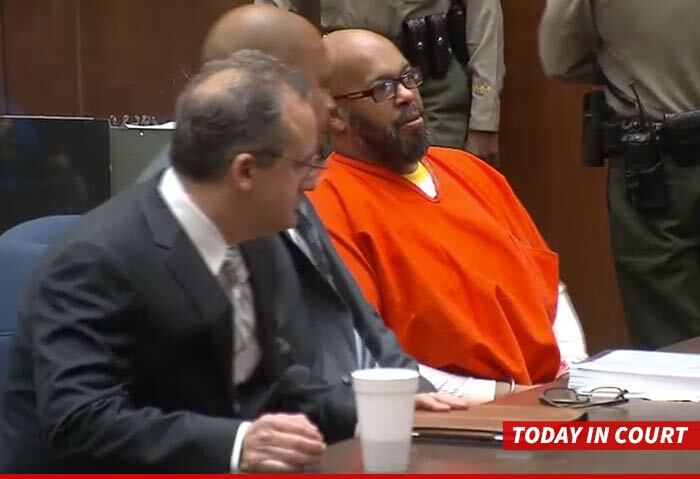 Suge Knight will not get the deep deep discount he wants on bail -- a judge denied his request during Knight's arraignment ... where he pled not guilty to murder. The court previously reduced bail from $25 million to $10 million, but Suge wanted a judge to knock it down even more ... to $5 million. During Thursday morning's hearing ... the judge stood at $10 mil. Suge walked on his own into court, but did use a wheelchair when he left. He previously complained he was embarrassed because deputies forced him to use the chair. Knight is charged with murdering Terry Carter during a confrontation which was captured on video. Suge claims he ran over Carter in self-defense.